The Discovery Center of Idaho will be holding its 1st Annual Toy Expo on Friday November 27th and Saturday November 28thduring the normal Discovery Center hours 9:30 A.M. until 5 P.M. No admission is required to attend the Expo, which will be held at the Discovery Center. 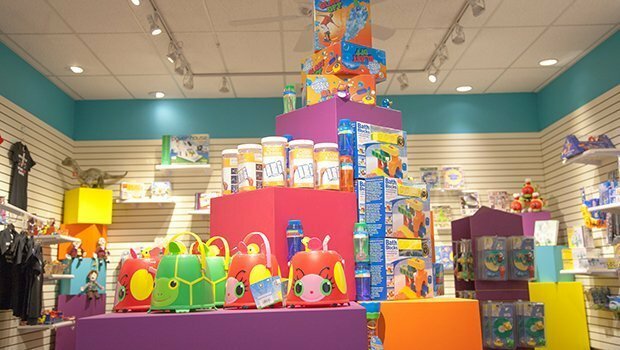 “This year we are bringing in all the best in educational toys to the Discovery Center. We’re really hoping to engage Treasure Valley families to invest in their kids’ education and come through the Center and see what sparks the kids’ imagination or curiosity, whether its robotics, math, or science,” says Michael Cullen, Marketing and Presentation Specialist at the Discovery Center of Idaho. The Center’s store has recently completed a remodel, including expanding and updating the space as well as increasing the diversity of products, with the goal of making the Discovery Center the place to go in the Treasure Valley for the best in educational toys—something different from what you might find at other local toy stores. “We are in a partnership with STEMfinity, a local STEM focused toy supplier. 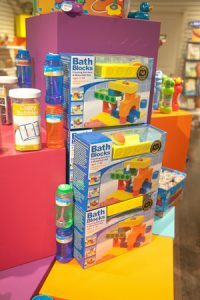 We’ve teamed up with them to do eight giveaways over the two days of the Toy Expo and to bring the best educational toys from around the world to families in the Treasure Valley,” says Cullen. Some of the items to be given away over the course of the Expo are a Dash and Dot robot, a fascinating toy that teaches you coding through play as well as a Parrot Mini Drone Rolling Spider, a remote controlled drone that can fly, roll up walls, ceilings, and much more. The Dash and Dot robot has few distributors nationwide, and is thus a much rarer commodity—making it an exciting offering at the Expo. Exhibits such as SuperStruct are made in house by the Center’s Exhibits Director. Aside from the changes to the exhibits and store, the Center has undergone a number of improvements over the last 18 months practically everywhere, and there will be a Grand Reopening on November 18th to recognize this, just two days before the SuperStruct exhibit starts. For more information about the Toy Expo, the SuperStruct exhibition, or other Discovery Center events check out their website: www.dcidaho.org. To learn more about STEMfinity, check out their website: www.stemfinity.com.